Healthy, nutritious, vitamin enriched, delicious and easy to cook best describes this marvelous dish of Vegetable Bake. Including generous amount of vegetables with the combination of olive oil and cheese, you will truly have a gala time in preparing and thereafter munching upon this dish. To start with this dish, firstly take a small microwave safe bowl and add chopped garlic, onions and olive oil. Place it in Whirlpool Jet C Nutritech Microwave Oven and microwave for 30 seconds with “Jet Start” button. Simply take this out and transfer it in the casserole. Add chopped tomatoes, salt and pepper and microwave it for 1 minute with “Jet Start” button. This will help in creating a uniform and aromatic base for the dish. Now add a mixture of chopped vegetables such as French beans, peas, corns, carrot and cauliflower and layer them on the prepared mixture. Spread grated cheese and milk for proper baking. Mix oats and butter evenly and add parsley to it. Mix well and layer it on the vegetables. Also sprinkle freshly crushed pepper. Now place the casserole in oven, select the Combi Grill feature and cook the dish at 350 degrees for four minutes. You can simply consume it raw or combine it with toasted bread to get a crunchier taste. Do not miss to invite your friends over for a try. 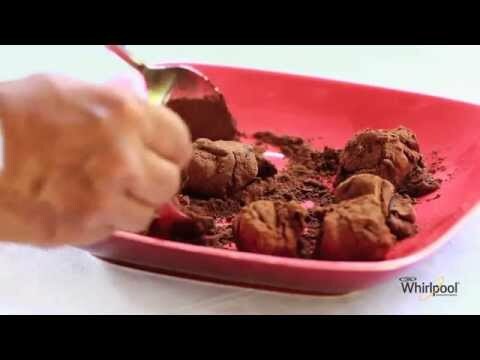 Click on this video and learn this magical recipe in minutes.